Roberta Bondar or Roberta Lynn Bondar is the first Canadian woman to travel into space. This biography of Roberta Bondar provides detailed information about her childhood, life, career, achievements and timeline. Roberta Bondar or Roberta Lynn Bondar is the first Canadian woman to travel into space. She was also the first neurologist and researcher to do so. She has received many honors including the ‘Order of Canada’, the ‘Order of Ontario’, the Nasa space Medal’ and others. Her field of research was mainly the human nervous system on which she conducted a large number of basic and clinical experiments. She spent a decade being the head of NASA’s team for space medicine and has spoken of her experiences and ideas at various scientific, business and medical gatherings. She led a team of international researchers at NASA for more than a decade who examined the data received from various space flights to find out the effect of low gravity on the human body and its ability to overcome the exposure to the weightlessness in space. After her space career she pursued her interests in photography and covered many natural habitats of wild animals to write her books replete with numerous photographs. Roberta Bondar enjoyed flying, canoeing, biking, hot-air ballooning, fishing, cross-country hiking and skiing and target shooting with both handgun and rifle. 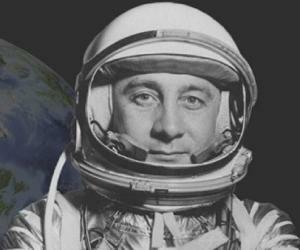 Her work on space science and weightlessness helped others to understand many things that were hitherto unknown to mankind. 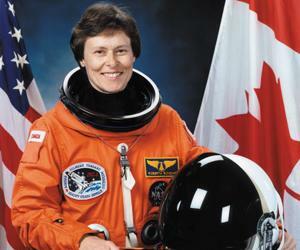 Roberta Bondar was born on December 4, 1945 in Sault Ste. Marie, Ontario, Canada. Her father was a Ukrainian while her mother was English. She attended the Sir James Dunn High School in Sault Ste. Marie, Ontario, before pursuing higher studies. She obtained her B.Sc. 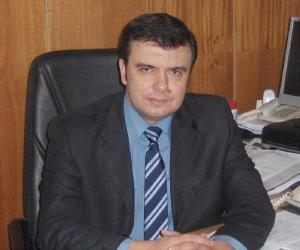 degree in agriculture and zoology from the University of Guleph in 1968. She worked for the ‘Federal Fisheries and Forestry Department’ for six years on genetics while she was an undergraduate. She did an internship in internal medicine at the Toronto general Hospital. She completed her post-graduate training on neurology from the University of Western Ontario and neuro-ophthalmology from the Playfair Neuroscience Unit of Toronto Western Hospital and Tuft’s New England Medical Center, Boston. She earned her M.Sc. degree on experimental pathology from the University of Western Ontario in 1971. In 1974 she did her PhD in neurobiology from the University of Toronto. She received an M.D. from the McMaster University, Hamilton, Ontario, in 1977. In 1981 she joined the ‘Royal College of Physicians and Surgeons of Canada’. In 1988 she specialized in Carotid Doppler and Transcranial Doppler from the Pacific Vascular Institute in Seattle, Washington. During 1982-1984 she was appointed an assistant professor of medicine (neurology). In 1983 she was selected as one of the members of a team of six Canadian astronauts and started training to be one in 1984 at the ‘Canadian Space Agency’ or CSA. In early 1990 she was selected as a payload specialist for the first ‘International Microgravity Laboratory Mission’ or IML-1. This was a manned ‘Spacelab’ module which was being used to find out the effects of weightlessness on living organisms and other materials. She travelled into space as a payload specialist aboard the ‘Discovery Space Shuttle’ which was launched during ‘Mission STS-42’ on January 22, 1992 and came back to earth on January 30, 1992. During eight days in space she and the team of other astronauts conducted several experiments on the effect of weightlessness on the human nervous system, shrimp and fruit fly eggs and bacteria. She left CSA in September 4, 1992 to continue with her research work. 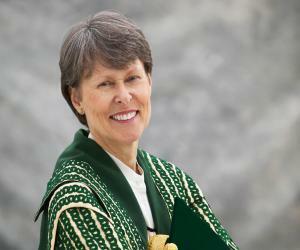 She was appointed the chancellor of Trent University in Peterborough, Ontario from 2003 to 2009. One of the four books written by Roberta Bondar is titled ‘Touching the Earth’ which came out in 1994 and was about her space flight. Her book on Canada’s national parks titled ‘Passionate Vision’ came out in 2000. She wrote about deserts in another book titled ‘The Arid Edge of Earth’ published in 2006. Roberta Bondar received an ‘Ontario Graduate Fellowship’ in 1971, a ‘National Research Council (NRC) Scholarship’ from 1971 to 1974, a ‘NRC Post-doctorate Fellowship’ in 1974, an ‘Ontario Ministry of Health Fellowship’ and a ‘Medical Research Council Fellowship’ in 1981. She received a ‘Career Scientist Award’ from the Ministry of Health, Ontario in 1982. She was made an honorary member of ‘Zonta International’ in 1982 and a member of the ‘Canadian Federation of University Women’ in 1985. In 1985 she was selected as an outstanding Canadian by the ‘Jaycees of Canada’ and received the Vanier Award. She was a co-receiver of the F.W. 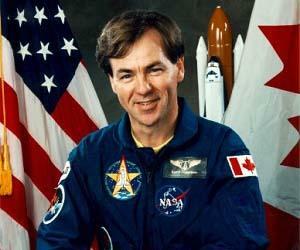 (Casey) Baldwin Award in 1985 for writing the best paper in the ‘Canadian Aeronautics and Space Journal’. She was made an honorary life member of the ‘Girl Guides of Canada’ in 1986. She received an honorary D.Sc. from the Mount Allison University in Sackville, New Brunswick in 1989. She received an honorary D.Hum.Litt. from Mount St. Vincent University, Halifax, Nova Scotia in 1990. The same year she received a ‘Senior Fellowship’ from the Ryerson Polytechnical Institute, Toronto, Ontario and an honorary D. Sc. from the University of Guelph, Guelph, Ontario. The Lakehead University in Thunder Bay, Ontario and the Algoma College, Sault Ste. Marie Ontario conferred an honorary D.Sc. degree on her in 1991. She received numerous honorary degrees from the Saint Mary’s University, the University of Regina, the McMaster University, the University of Calgary, the University of Toronto and the University of Ottawa in 1992. She was made an ‘Officer of the Order of Canada’ which is the highest civilian honor for her accomplishments in space medicine. She was the first astronaut to receive a star on ‘Canada’s Walk of Fame’ on June 28, 2011. A park in her hometown of Sault Ste. 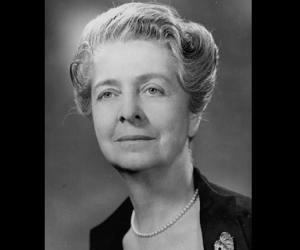 Marie and many schools in Ajax, Brampton and Ottawa have been named after her.